Alter Brads: Emboss or Foil! Hi everyone, Brenda here with a great tip to share! 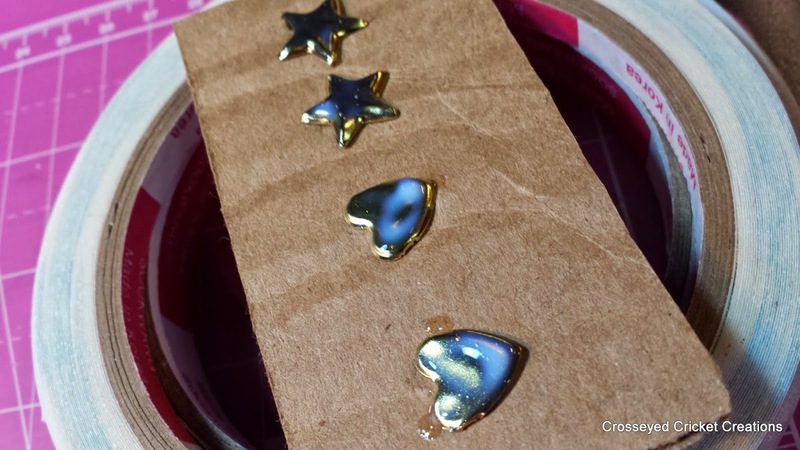 How many times have you been in the middle of a project and wanted a certain colored embellishment to finish that creation and of course didn't have it, or it's just not available? If you are like me, it happens frequently, but, with a few ScraPerfect products, you can create your own easily and quickly. 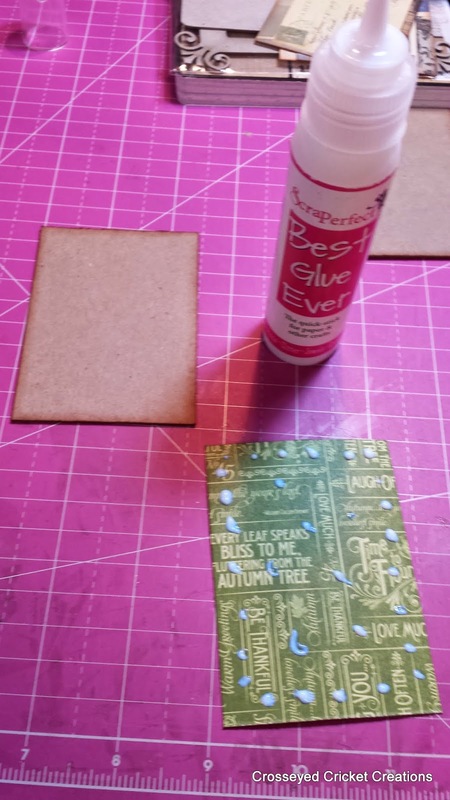 I started with ScraPerfect Best Glue Ever, ScraPerfect Foil Pack, a couple of gold metal star brads and a gold heart metal brad. All you need to do, is coat those brads with ScraPerfect Best Glue Ever. Be sure to use a nice heavy coat. It will go on milky and once dry with be clear. 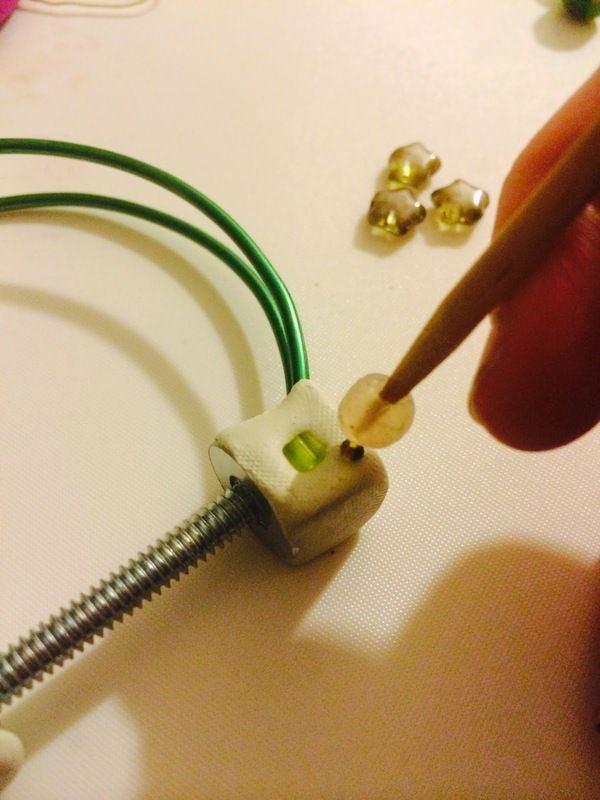 Don't get in a rush...make sure the glue is entirely dry/clear. Actually it won't be 'dry', rather it will be extremely tacky and sticky. Ok, now they are ready. 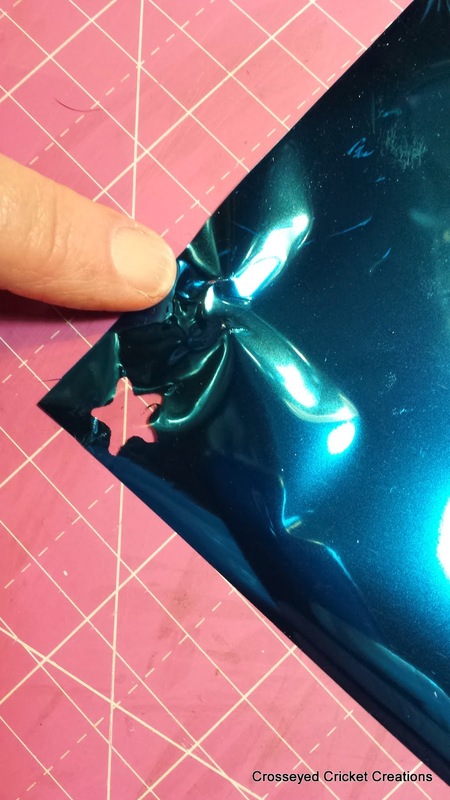 Choose your foil color, I needed some nice strong rich blue embellishments, so I chose this beautiful blue foil. 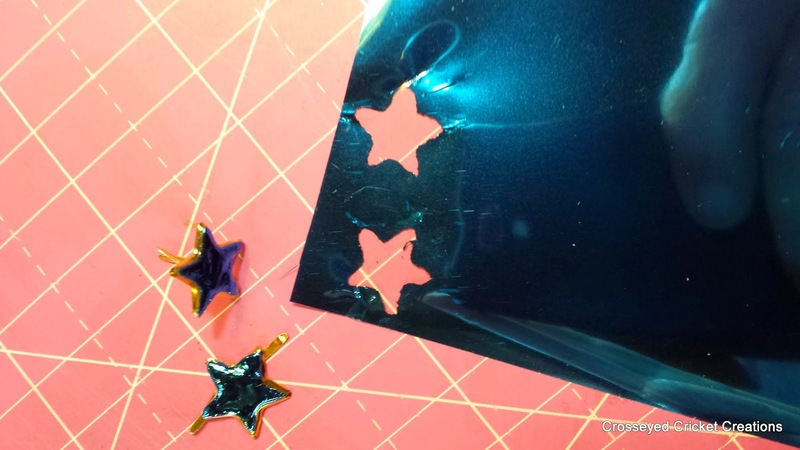 I've already done one, as you can see, there is a blank star pattern in the foil where I already used it. I am now pressing the foil onto the next star brad and rubbing with my finger. VOILA! 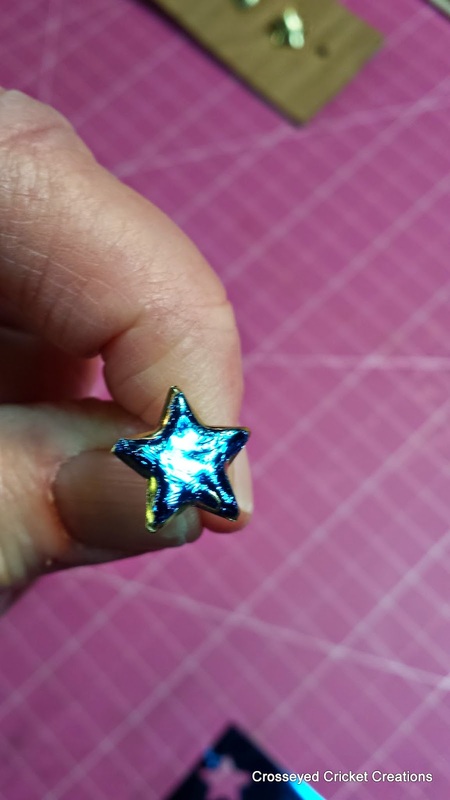 Here is the second finished blue foiled star! Perfect! So, I now have two perfectly colored brads that I will use on my creation. There is plenty of foil to use on many other projects as you can see. 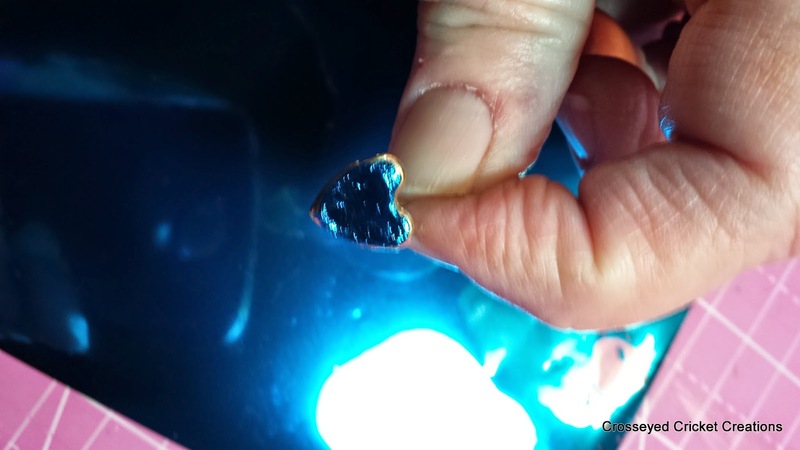 My beautiful blue foiled heart brad that is now ready to use. 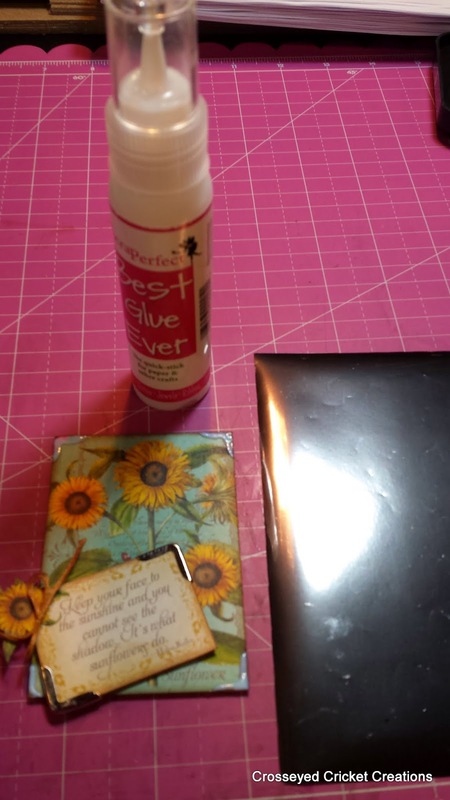 ScraPerfect Best Glue Ever and ScraPerfect Foil pack are two invaluable items to have in your stash ladies to create your own colored embellishments. You are only limited by your own imagination and the possibilities are endless. 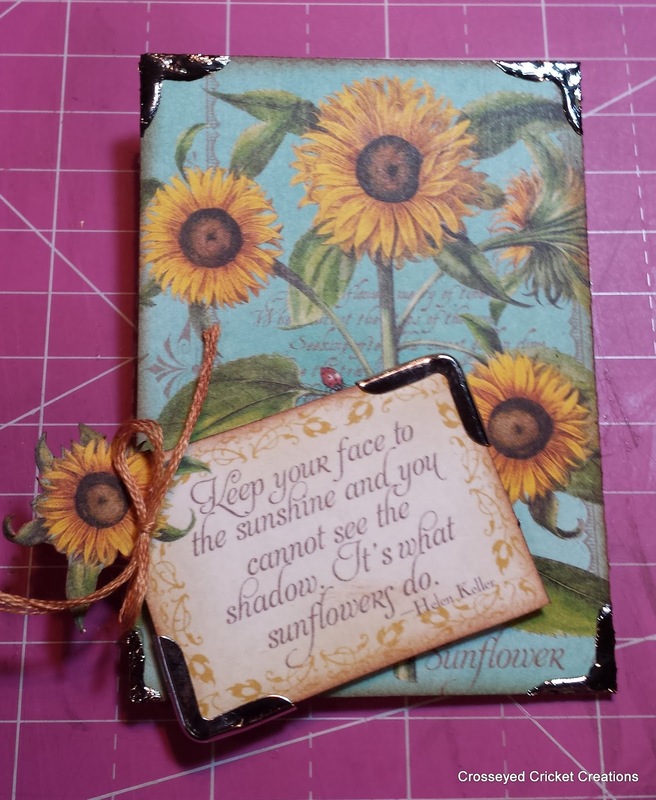 Thanks for stopping by and I hope you share your creations you make with these products. It's Glen here with a new project that actually started months ago. 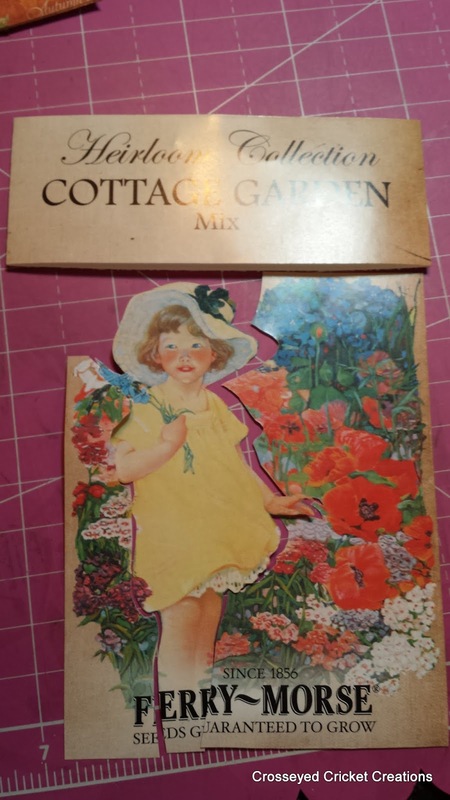 I took a 12 x 12 plain wood square and painted it white and when it was dry put a sheet from the Secret Garden collection inside using the Best Glue Ever and put it aside. Then I got an idea to make it two dimensional by adding a second layer at the bottom. Then using some cut pieces of bass wood I used little dots of BGE to adhere the pieces and create a kind of pocket that could be used to put seed packets or coupons in for the garden center. 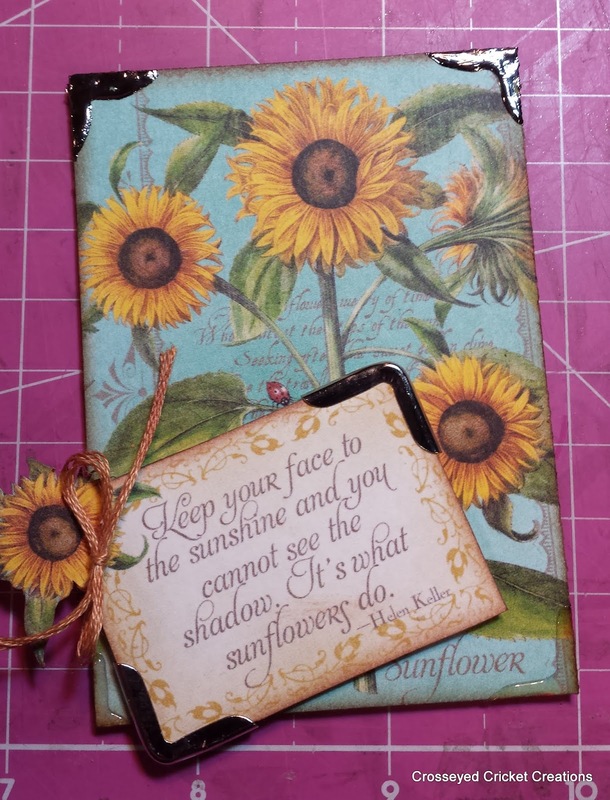 When they were dry I added my fussy cut second layer to the bottom and got busy with Tim Holtz Distress Markers to add details. I hope you will find the time to watch my video below. This video goes into a little more detail of how I made my cards and how I used my products to make this a super fast and easy project. Good Morning ScraPerfect friends. 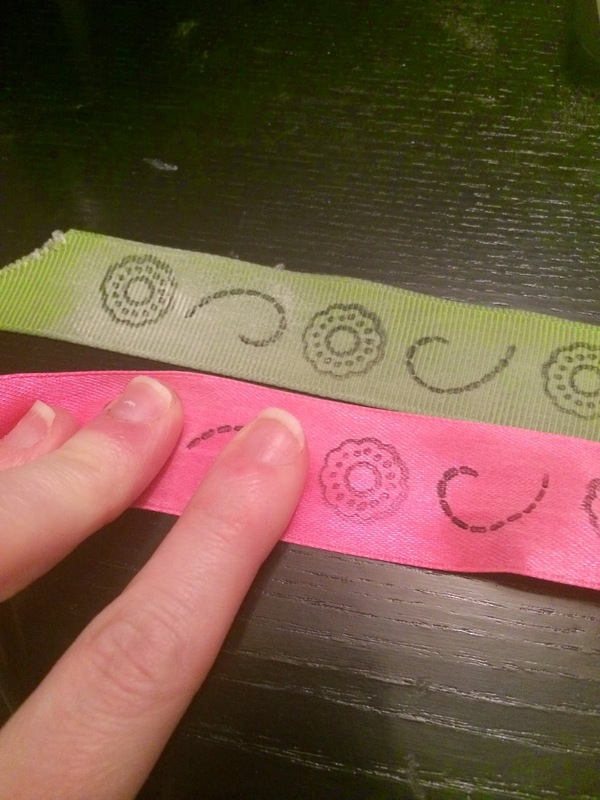 Chelsea here to share a quick tip on how to stamp on ribbon. All you will need is the Perfect Crafting Pouch, your favorite inks, stamps and ribbon! 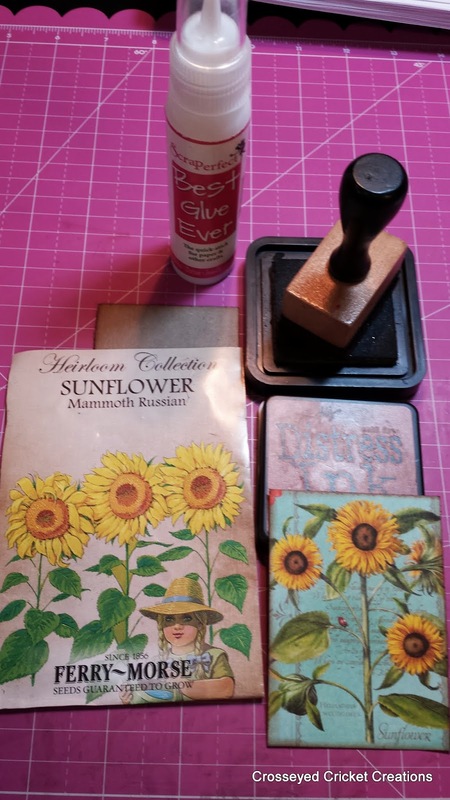 I will be sharing how I stamped on silk ribbon and a ribbed patterned ribbon to show you that even textured ribbon can be stamped on, using the Perfect Crafting Pouch. 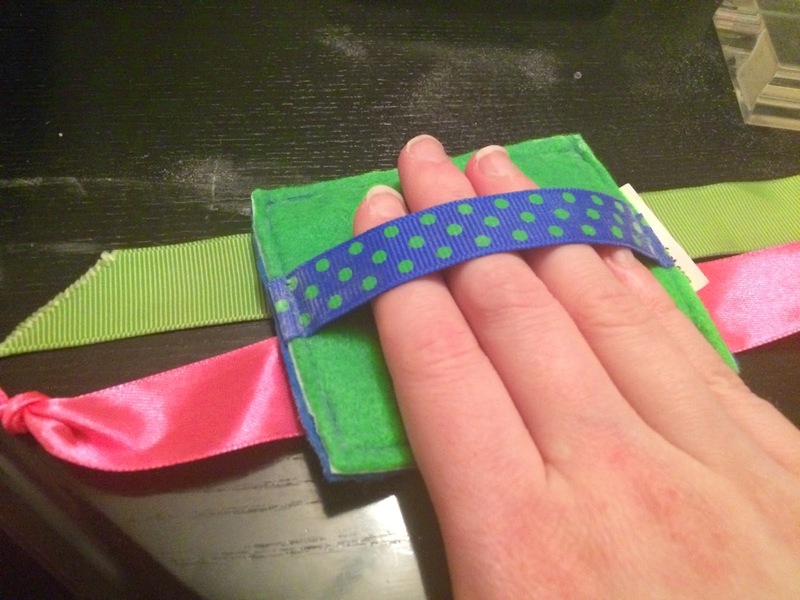 Step 1 : Prepare your ribbon by swiping the Perfect Crafting Pouch across your ribbon evenly. 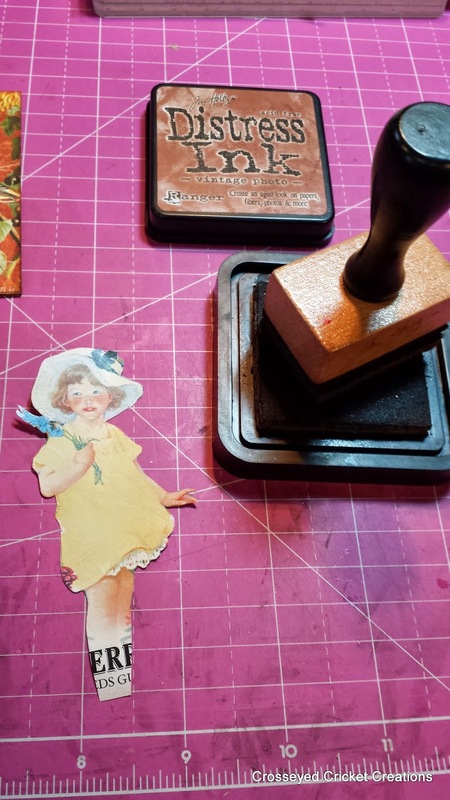 Step 2 : Ink your favorite stamps. It is best to use a permanent ink rather than a pigment ink. 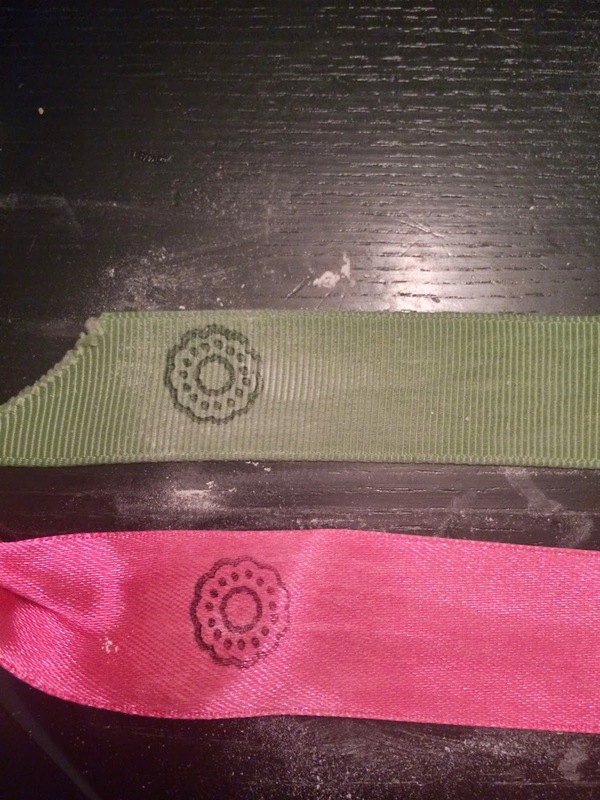 Step 3 : Now let's stamp that ribbon. 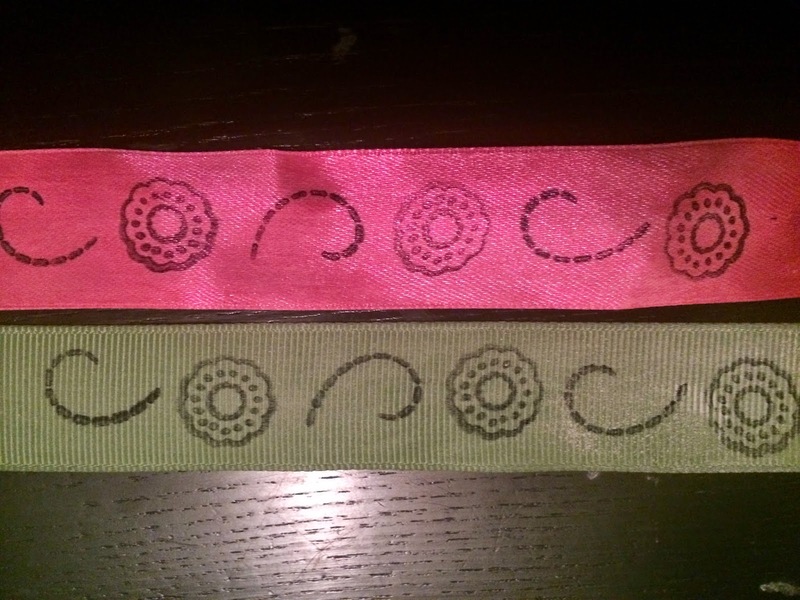 The best way to stamp onto ribbon is a quick down and up motion without any rocking of the stamp. This will minimize smudging of the image. 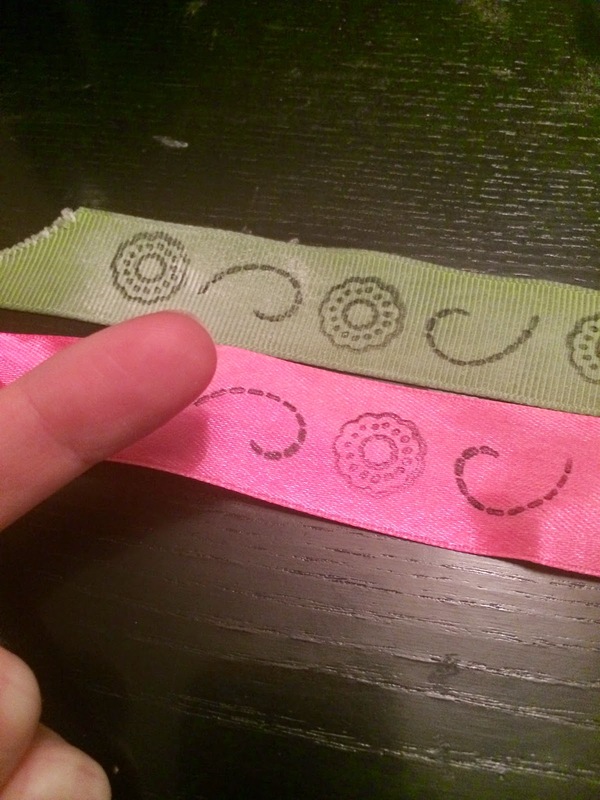 This would happen more on silk ribbon than a ribbed ribbon. As you can see the image is crisp and clean. Regardless if it is a large stamp or a thin dashed-line stamp. The Perfect Crafting Pouch allows you to decorate any ribbon quickly, easily and mess free. The Perfect Crafting pouch also allows the ink to dry instantly. 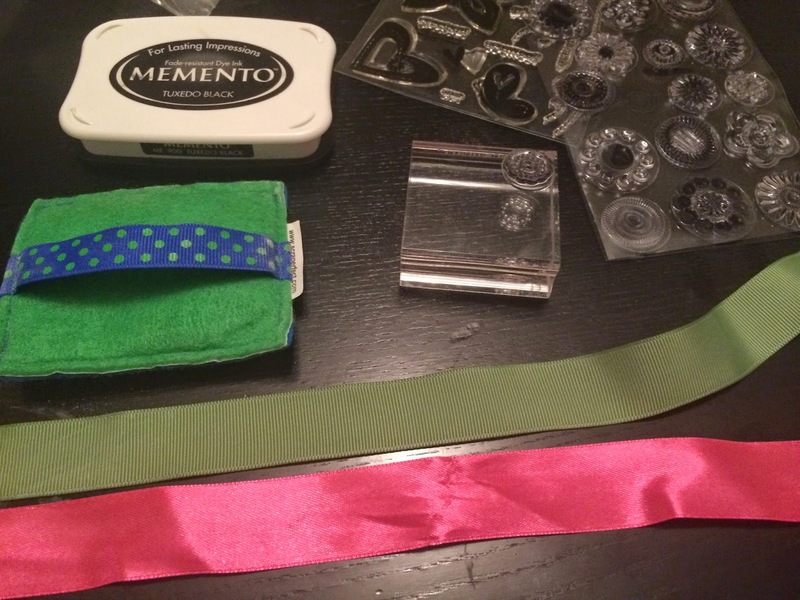 This allows you to use your newly decorated ribbon quickly and easily. I am able to rub my finger over the stamped image and no ink is being transferred onto my skin. Now that you have your gorgeous newly decorated ribbon, some ways you can use it are: paper crafting such as scrapbook pages or home made greeting cards, gift wrapping (stamp it to match your themed paper), glass wear (jazz up that plain vase!) just to name a few ideas to get you started. We love for you to share your projects with us on our Facebook page. Hi. Robin here with paper chest of drawers that was quick and fun to make. 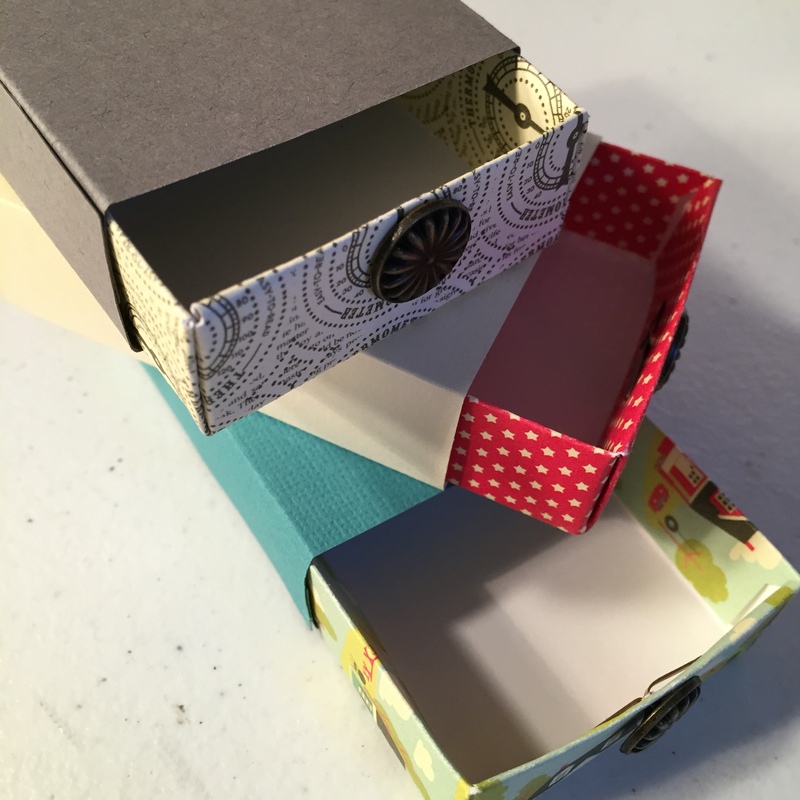 Supplies I used for this project were a matchbox die, design paper, and The Best Glue Ever! First, I cut the patterns out with the die. 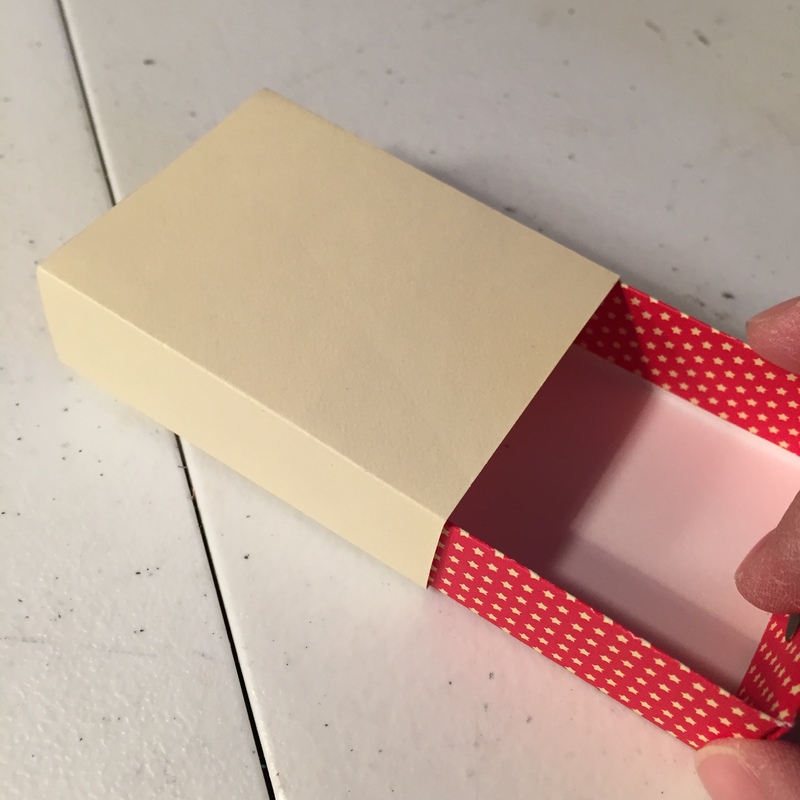 Next, I carefully folded the patterns into a matchbox shape, gluing all sides with The Best Glue Ever from ScraPerfect. 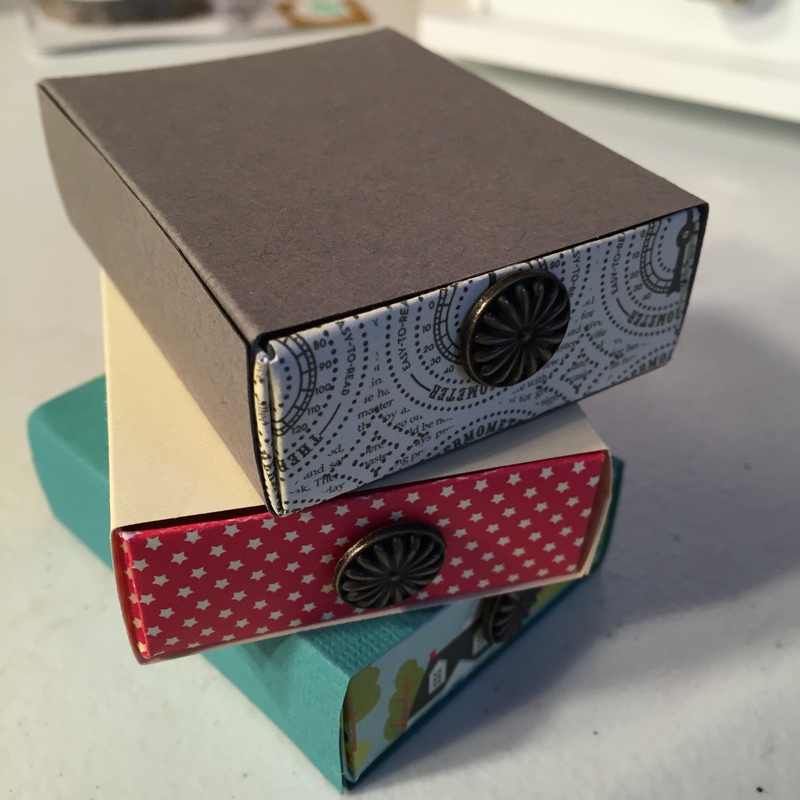 After gluing each matchbox and placing into shape, I added brads for the knobs. I made a three drawer chest. 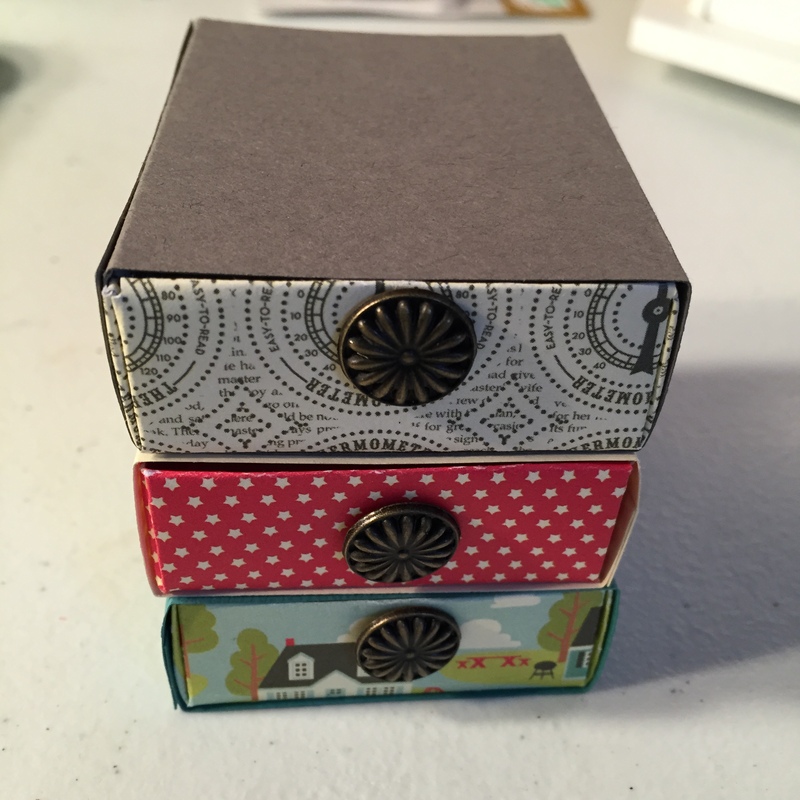 You can use as three separate drawers or glue together as I did for a chest of drawers. You can decorate any way you like. Tiny gifts are really cute to give in these. They can hold candy, jewelry, or whatever small gift you can fit in them. You can see the finished project below. Thanks for stopping by. I hope you like the drawers! Use Seed Packets for Spring! Hello Everyone, today I'd like to share with you a set of ATCs I made looking forward to good old springtime. 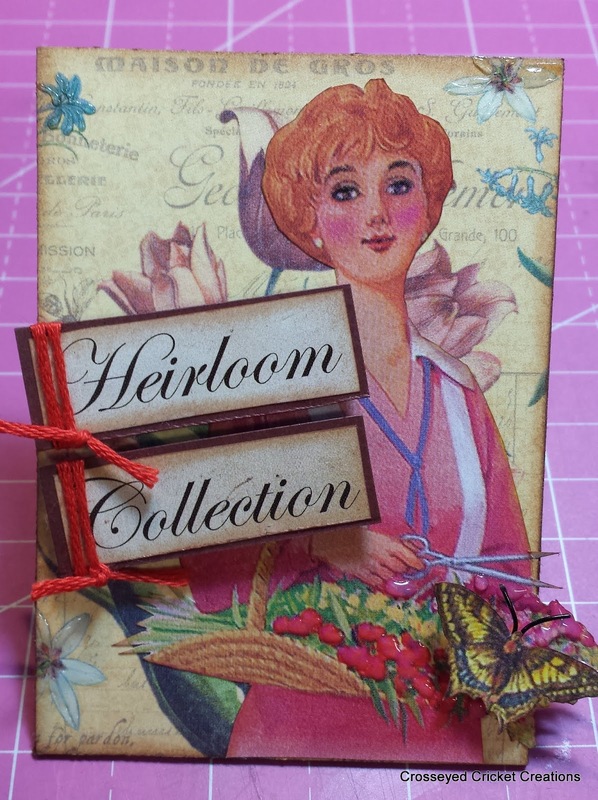 I saw some gorgeous retro looking seed packets at the store as we were getting some of our garden seeds, and thought what a great use of the packets....so, I fussy cut them and added different elements to the 'garden' pattern papers I used for the backgrounds. 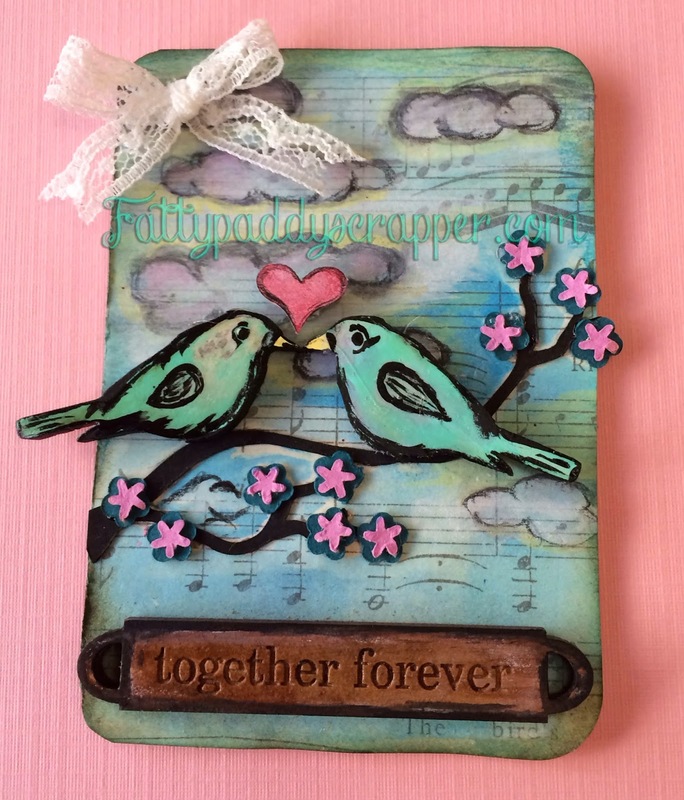 Follow me below to see some steps to creating these fun ATCs. Here is one of the packets I started cutting the little girl out of. It doesn't take much Best Glue Ever, so I used it to attach everything on these cards. On this one, I used the foil! Easy, easy, easy my friends with super cool results. 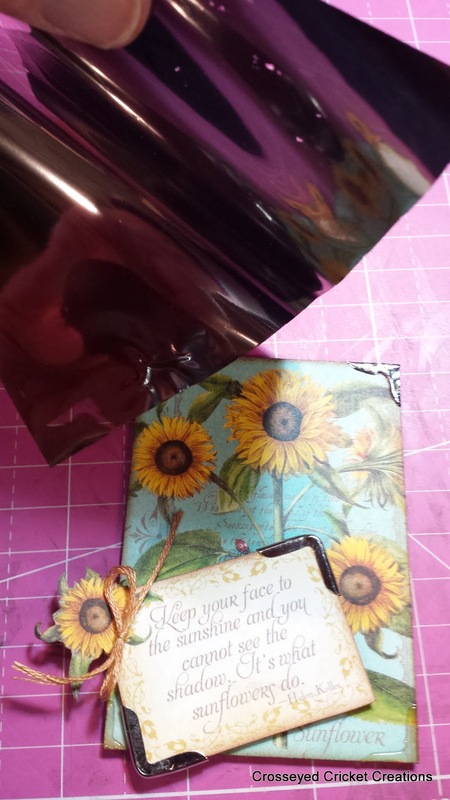 I used metal corners on the sentiment tag, and then proceeded to use the foil to 'make my corners' on the ATC. I used Best Glue Ever to 'draw' my corners on with the glue, and let it turn from milky to clear. Once clear, it was time to add the foil. I used the silver to match the metal ones on the sentiment tag. As you can see: instant silver corners. How handy is that!?! 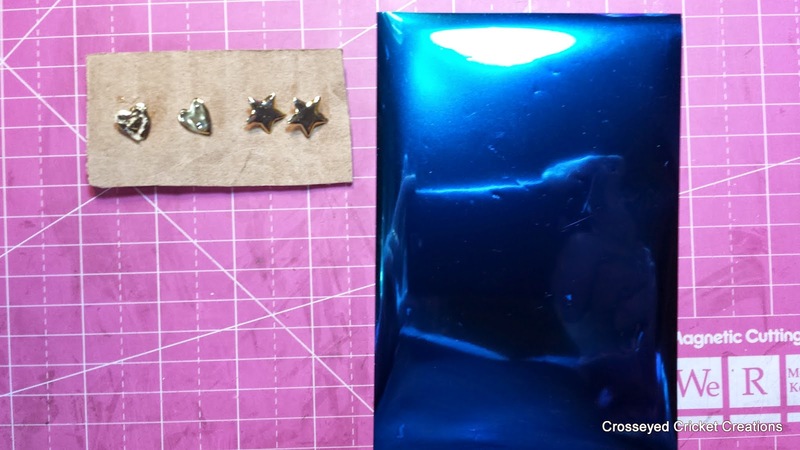 ?Anything you can create with the glue, you can use the foil on....so be creative! 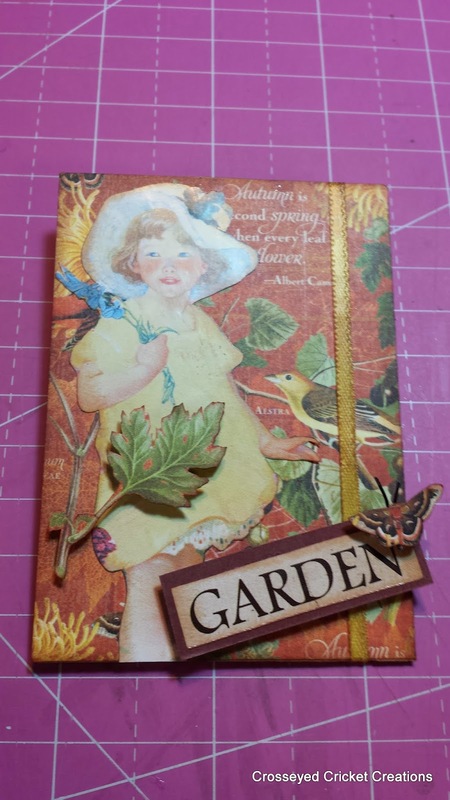 On this last one, I again, fussy cut the lady, butterfly and words from the seed packet to use on my ATC. I added embellishments using pop dots to give dimension and added wire to the butterfly for his antennas. 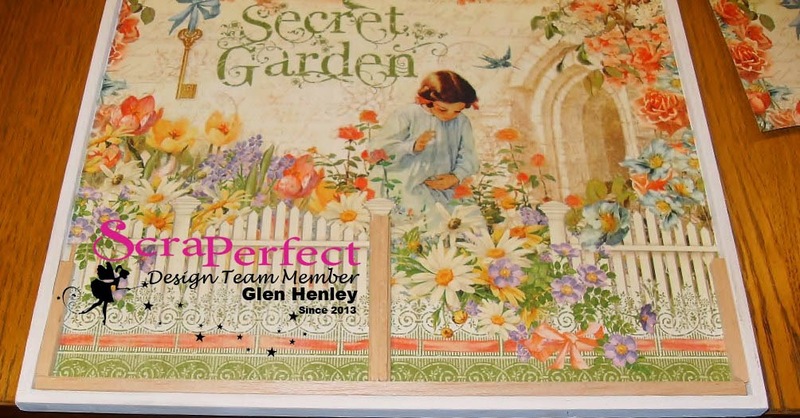 I used glossy accents to highlight the flowers in her basket and the ones in the background paper. 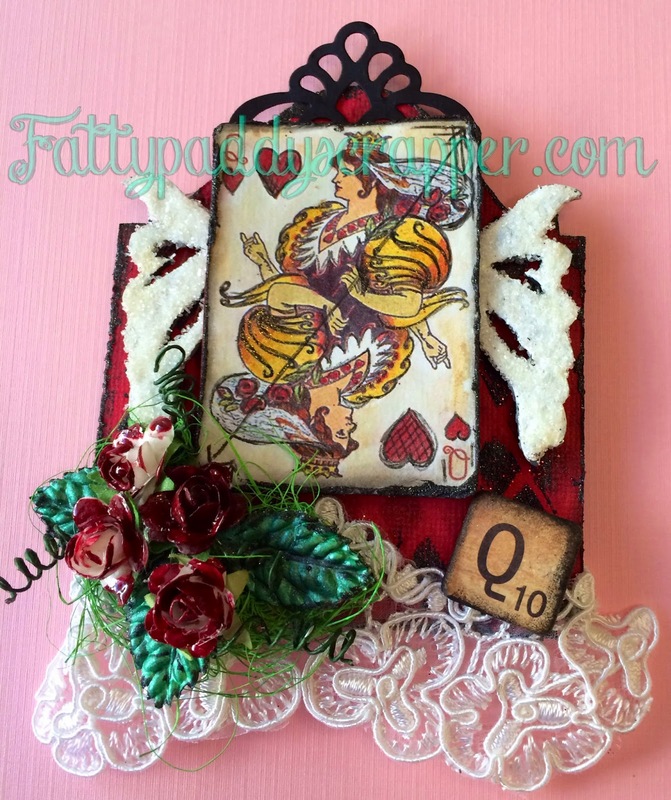 What a fun easy project this was having the help from Scraperfects Best Ever Glue and Foils!!! Thanks for stopping by and checking out my projects. 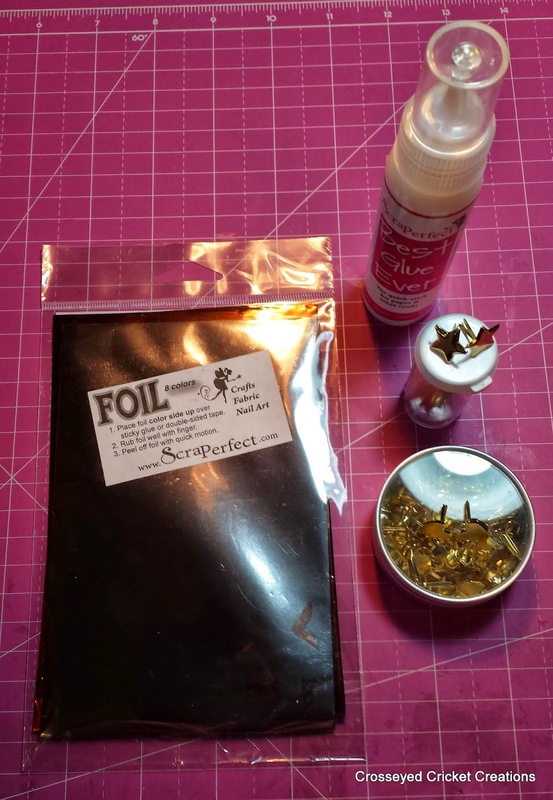 The Foils and Best Glue Ever are available here, give them a try, and you will also see how easy your projects can be. 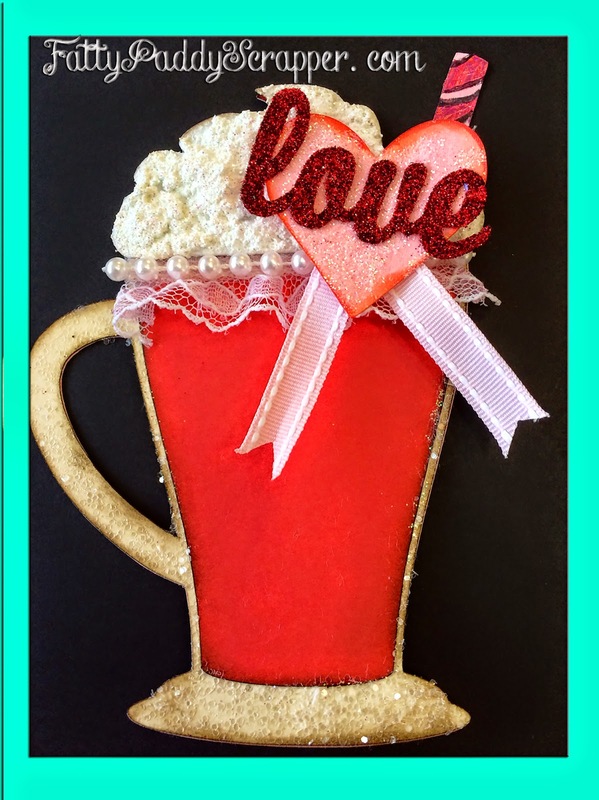 Cricut Design Space ~ Layered Shake Mug, heart and word "love"
It is almost Valentines Day and I wanted to share with you my "spinterest" version of a shake card by Michele Kovack , that I saw on Pinterest. I have been dying to make a latte card and when I saw this ,I thought it would be a perfect "Milk Shake" Card for the teachers in Aidan and Mia's classes. 1. Cut out design with your Cricut. 2. Prepare the cards and heart and your word "love" by distressing then with distress inks, I used brown and red and black but the color combinations are endless. 3. 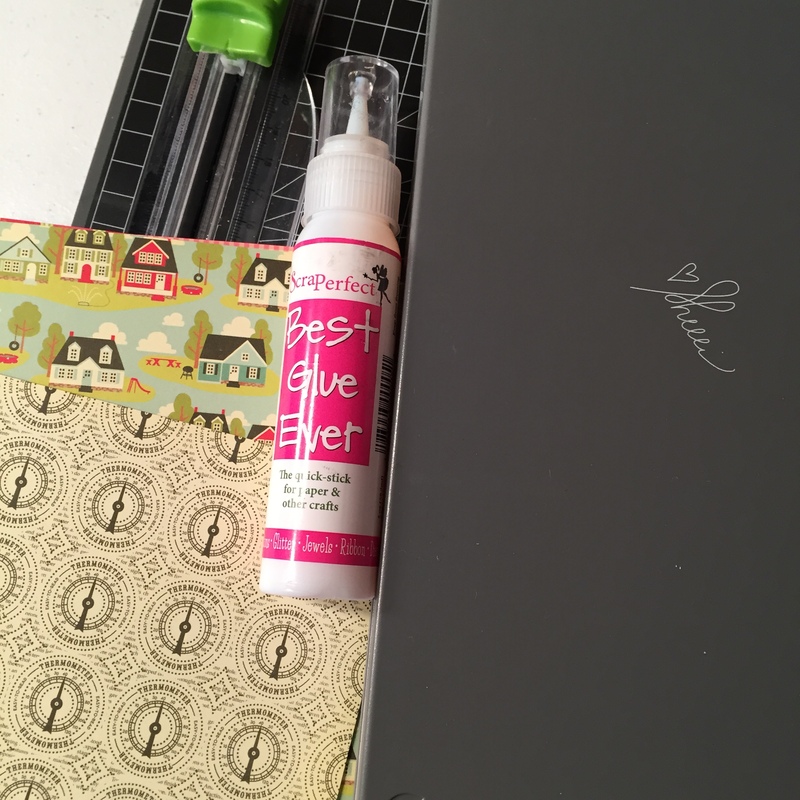 Use your Best Glue ever sparingly as a little goes a long way, to begin to glue layers together except for the last one the "Fluff"
4. 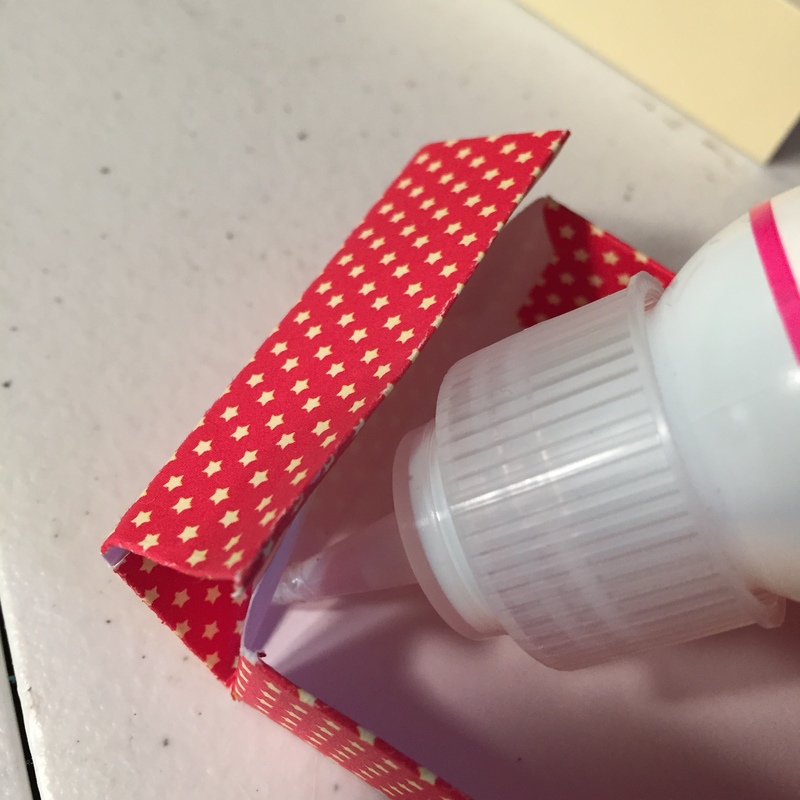 For the straw portion using the No Clog Writing Cap make two or three diagonal stripes with Best Glue Ever. Then set aside to dry. 5. When the stripes are clear and sticky apply Transfer foil silver side down and rub it on with your bone folder. Then remove foil swiftly. Then with a permanent marker outline the stripes. 7. 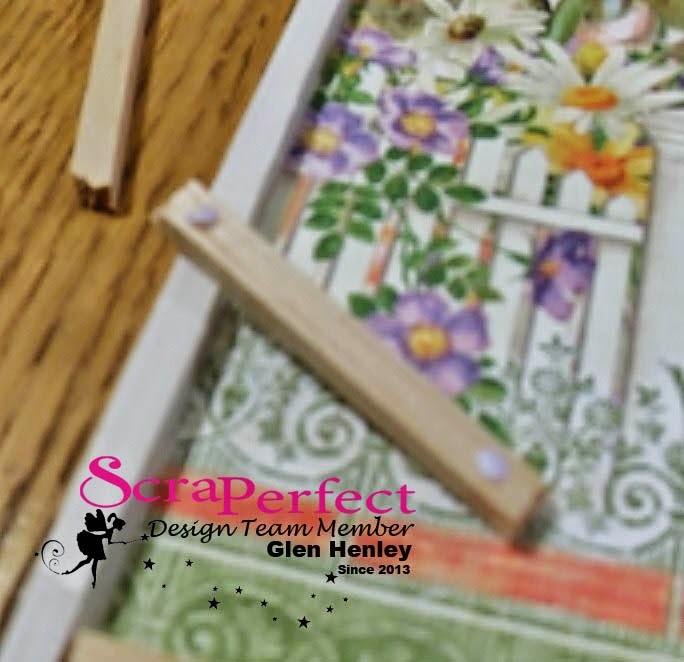 Using your Perfect Crafting Pouch press lightly along the card, using this awesome little goody prevents glitter from sticking where you don't want it on your project. 8. 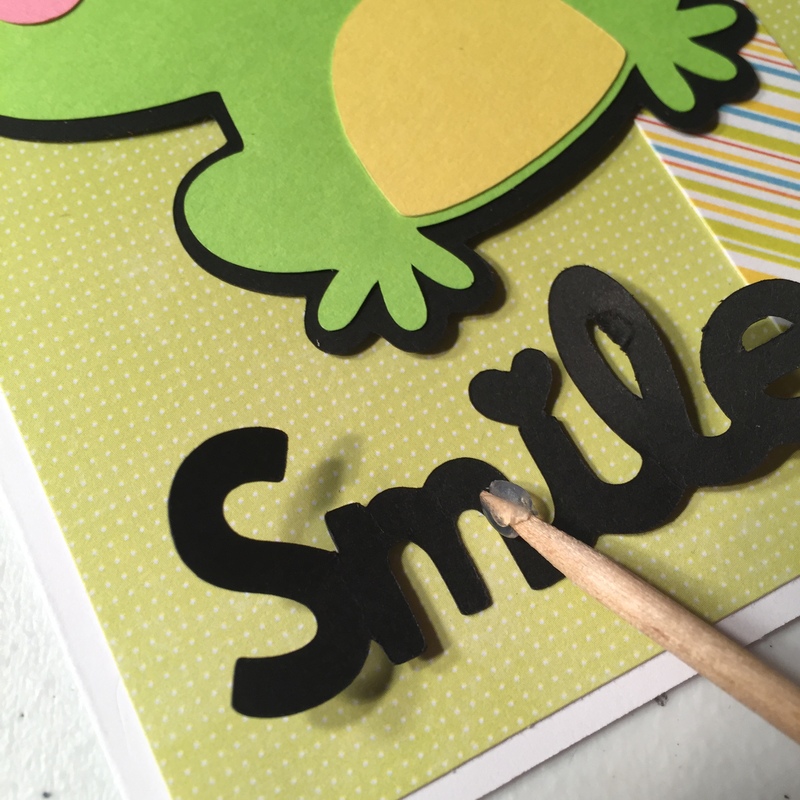 Attach your No Clog Writing cap to your Best glue ever and begin to apply small droplets of glue along the outside of the card and on your heart,then smooth lightly with your finger or a utensil and then apply translucent glitter and shake the excess glitter off. Same goes for the "Love" but using Ruby red glitter and set aside to dry. 11. 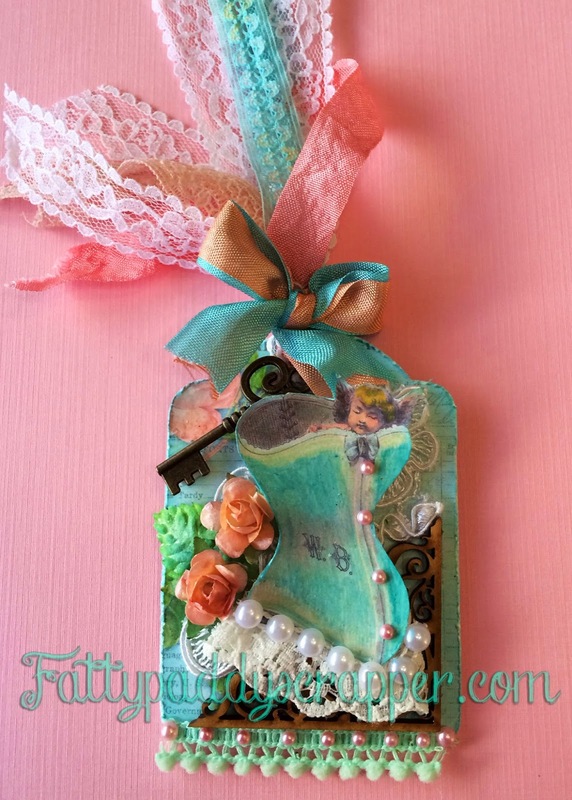 Attach heart on top of the ribbon with glue gun. 12. The final touch is to attach the word love with your Best Glue ever and Voila! You are done! Good Morning ScraPerfect friends, Chelsea here! 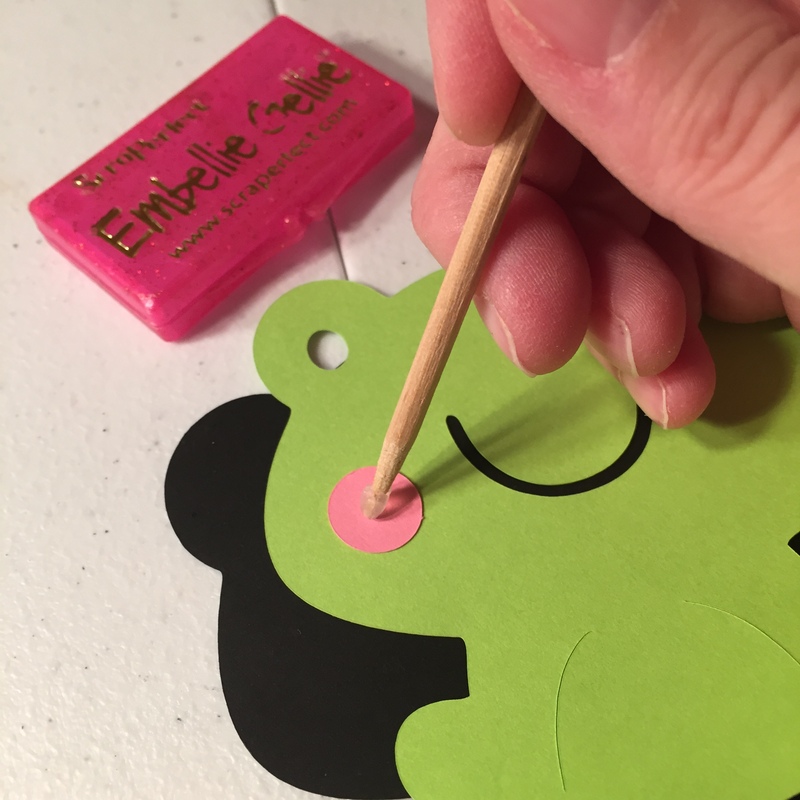 I like to share another way I use my Embellie Gellie. 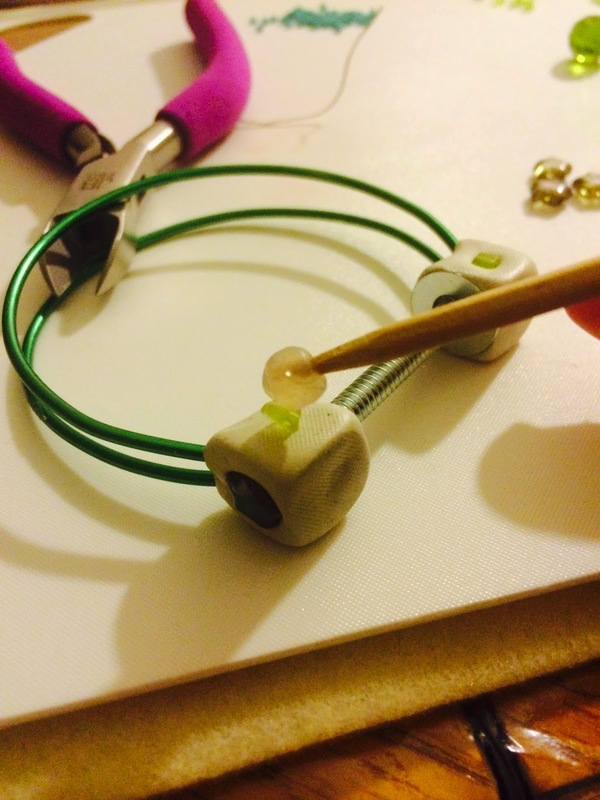 I work a lot with self hardening clay when I am making jewelery projects. 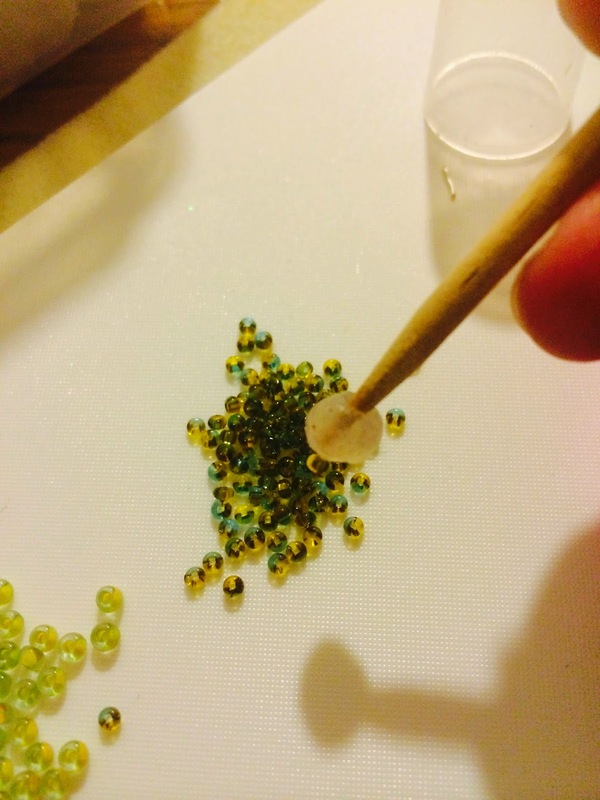 Using small embellishments; seed beads, small decorative beads and chatons just to name a few, can be tricky to use your fingers with. 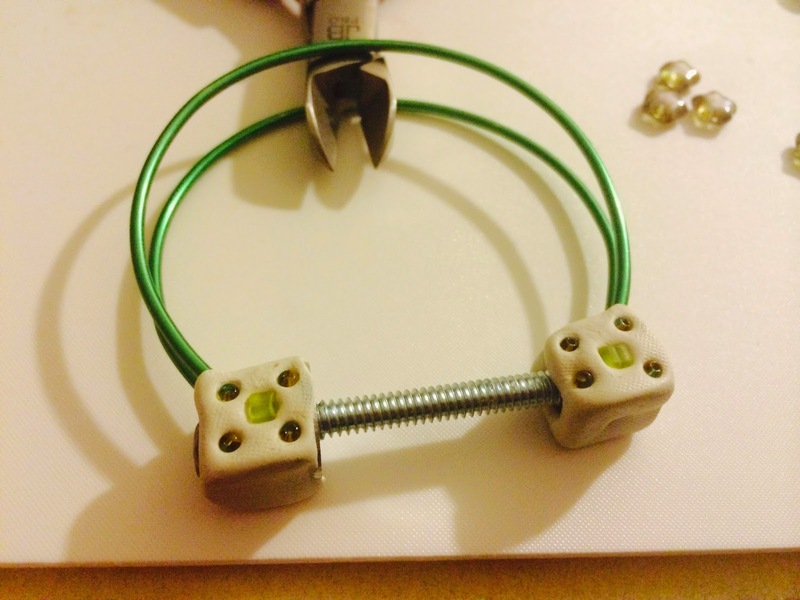 The Embellie Gellie has been a life saver allowing me to create projects quickly and easily. 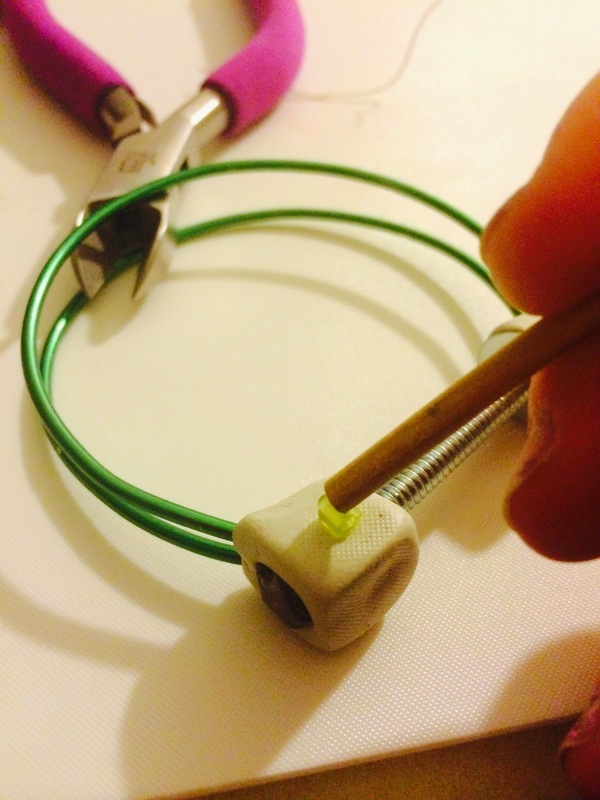 The Embellie Gellie is a universal tool which every crafter should have in there tool kit. It is a light weight pick up tool that works on a variety of objects. I love testing out the flexibility of the Embellie Gellie. Let's jump into today quick Embellie Gellie tip. 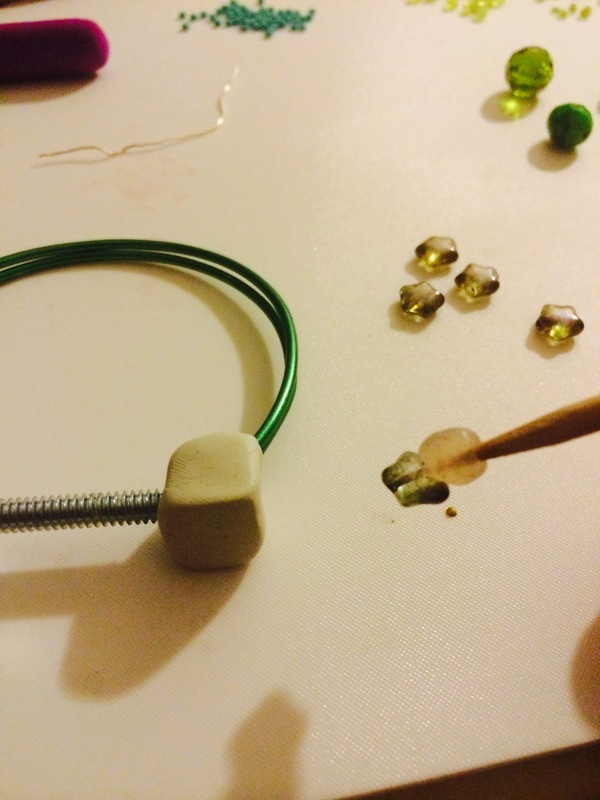 I had some seed beads along with some small beads that I wanted to attach to my clay piece. No matter how tiny or how large an object is, the Embellie Gellie will always pick it up and place it gently where you would like it. 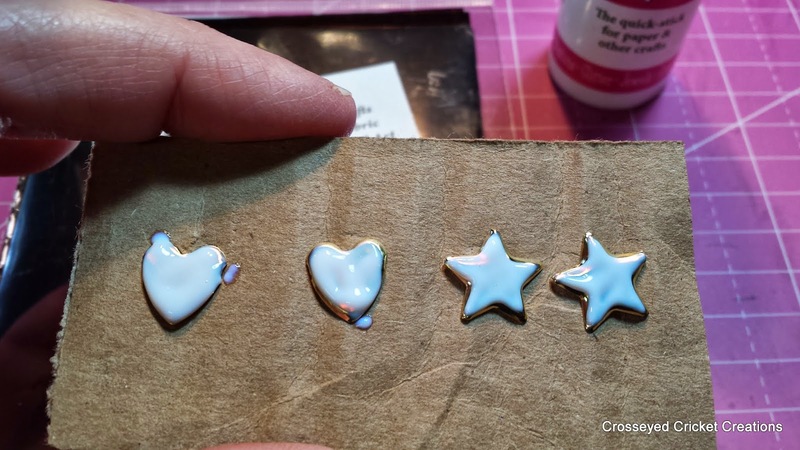 With a light touch I pick up each embellishment and lightly place it on the tacky clay. When working with clay, you will need to push the objects lightly into the clay for them to adhere and stick. 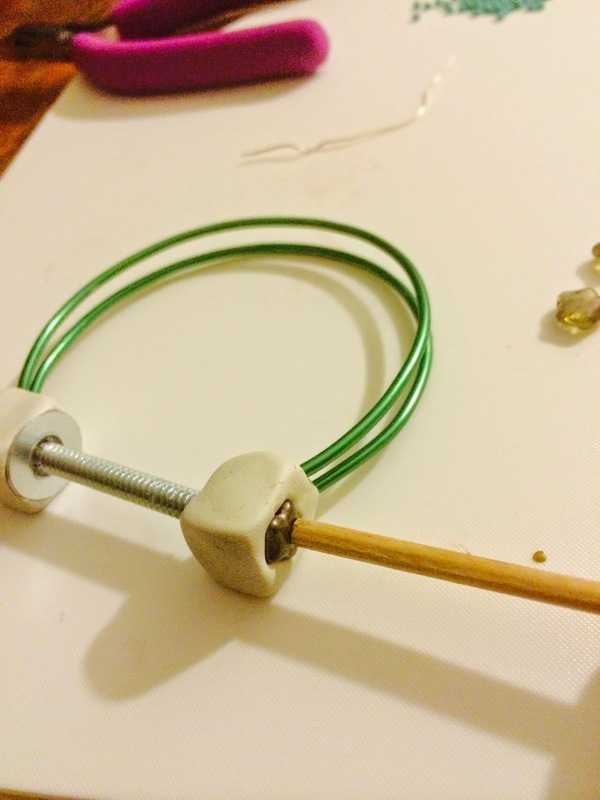 To do this step, I flip over the Embellie Gellie and use the wooden handle to press my objects into place. I do not press hard. 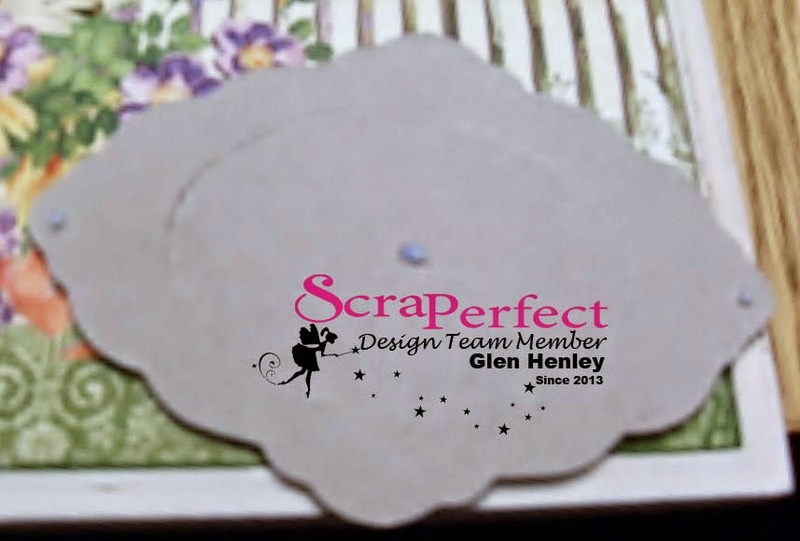 A light press will push the embellishment gently into the clay. Thanks for stopping by! 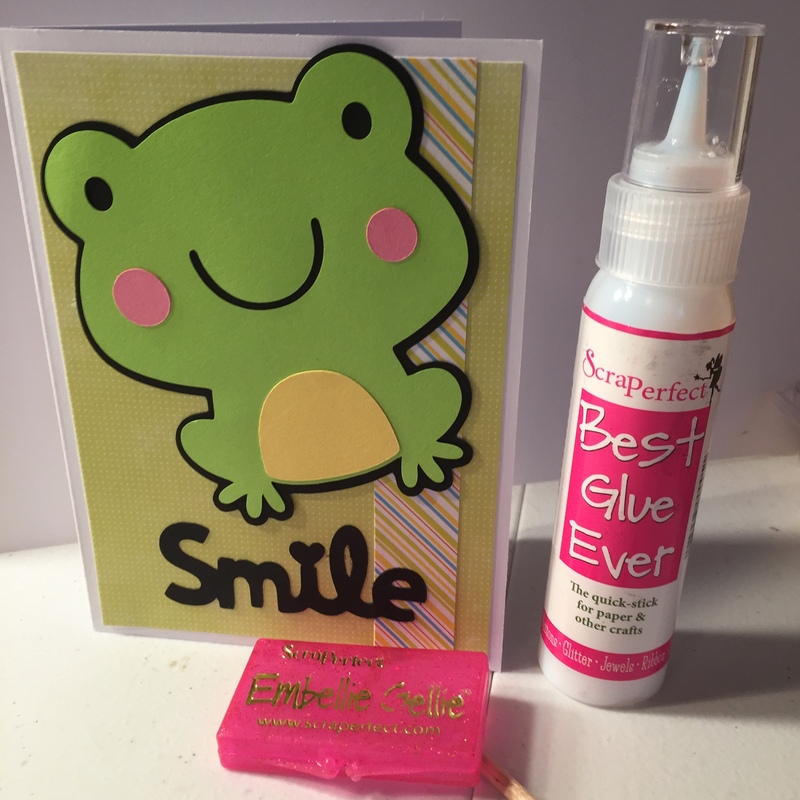 Let us know on our Facebook page our YOU use your Embellie Gellie, we love to know! Hey! Robin here with a card to show you. Here you can see the ScraPerfect products I used. I die cut the frog in several layers. I used the Best Glue Ever to glue all the pieces of the frog together. As you can see below, the Embellie Gellie was used to get the tiny cheeks in the exact spot I wanted them. 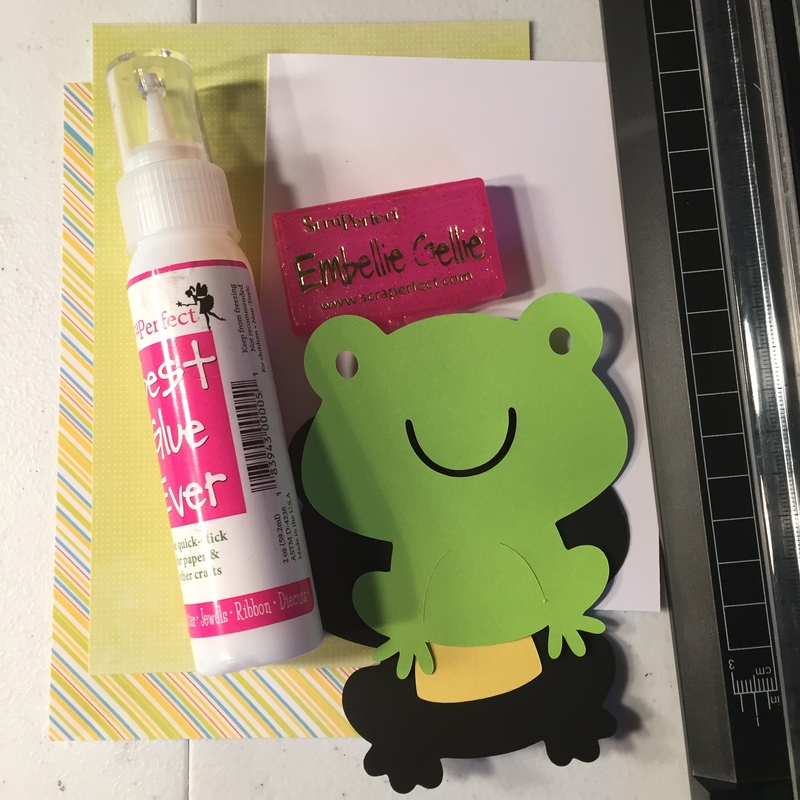 After I assembled the frog using the Embellie Gellie and Best Glue Ever, I placed the die cut sentiment to the front of the card. You can see the finished project below. 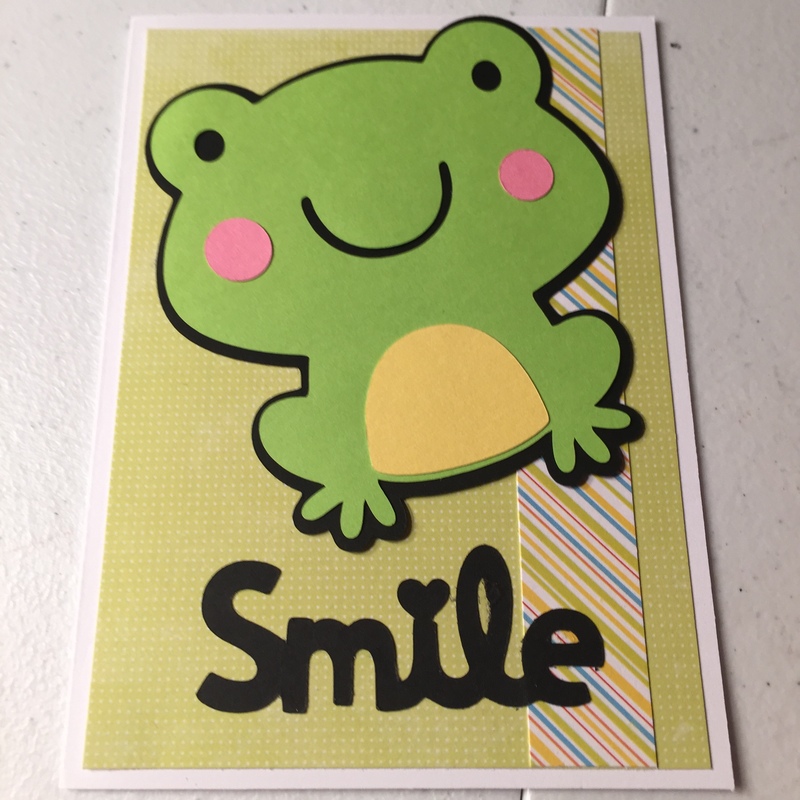 I think it is a fun and cute card. Thanks for stopping by today!